On 10 April 2018, the German Federal Constitutional Court (BVerfG) announced its decision in relation to standard rateable values for the assessment of property tax. The court ruled that the provisions of the German Valuation Act (BewG) for the standard rateable valuation of property in the states of former West Germany have been incompatible with the general principle of equal treatment, at least since the beginning of 2002. It has given the German legislature until the end of 2019 to introduce a new provision. The valuation rules that were deemed unconstitutional will apply for a further five years after that, but not after 31 December 2024 (BVerfG, judgement dated 10 April 2018 – one BvL 11/14, 1 BvL 12/14, 1 BvL 1/15, 1 BvR 639/11, 1 BvR 889/12). Standard rateable values for property are still determined today in accordance with the German Valuation Act based on the valuation baseline of 1 January 1964. In the states of former East Germany, the valuation baseline is actually 1 January 1935. The German Federal Fiscal Court (BFH) concluded in its referral decisions (BFH dated 22 October 2014 – II R 16/13, BStBl [German Federal Tax Gazette] 2014 II p. 957; 22 October 2014 – II R 37/14 and 17 December 2014 – II R 14/13) that the standard rateable values for property are unconstitutional as they violate the general principle of equality (Art. 3 (1) of the Basic Law for the Federal Republic of Germany (GG)), at least since the valuation baseline of 1 January 2008 and/or 1 January 2009. The plaintiffs also essentially claimed a violation of their basic rights under Art. 3 (1) GG in their constitutional complaints (1 BvR 639/11 and 1 BvR 889/12). The provisions of the German Valuation Act relating to the standard rateable values for property are incompatible with the general principle of equality. Art. 3 (1) of the Basic Law gives wide latitude to the legislature when it comes to setting out the details of valuation provisions regarding the tax base, but it requires a realistic valuation system as regards the relation of assets to each other. The fact that the legislature continues to draw on the general baseline of 1964 results in serious and extensive unequal treatment in the valuation of property, which is not sufficiently justified. The distorted values resulting from the overly long general baseline date are reflected in the individual valuation elements of both the rental value method (Ertragswertverfahren) and the capital value method (Sachwertverfahren). The following applies for the continued application of the rules found to be unconstitutional: Firstly, the rules continue to apply for the standard rateable values assessed in the past and the collection of property tax based thereon. Beyond that, the rules will continue to apply in the future, initially until 31 December 2019, by which time the legislature must enact new provisions. As soon as the legislature has enacted new provisions, the valuation rules deemed to be unconstitutional will apply for a further five years, but no longer than 31 December 2024 at the latest. The unusual decision to order continued application after the promulgation of new provisions is deemed necessary and therefore justified as an exception in light of the specific nature and complexities of property tax. For calendar years from 2025 onwards, the Senate has ruled out property tax burdens based solely on final decisions on standard rateable values or property tax assessments from previous years. The provisions of the Valuation Act (Bewertungsgesetz – BewG) regarding the standard rateable valuation (Einheitsbewertung) of property in the former West German Laender are incompatible with the general guarantee of the right to equality, at least since the beginning of 2002. With regard to the valuation of property, the legislature continues to draw on the general assessment date (Hauptfeststellungszeitpunkt) of 1964. This results in serious and extensive unequal treatment, which is not sufficiently justified. Based on these reasons, the First Senate of the Federal Constitutional Court has declared the provisions unconstitutional in its judgment pronounced today, ordering that the legislature must enact new provisions by 31 December 2019. Until that date, the unconstitutional provisions may continue to be applied. After the new provisions have been promulgated, the old provisions may be applied for another five years from the date of promulgation, but not after 31 December 2024. The management of single real estate properties through to extensive real estate portfolios is certainly a challenging task, and one which becomes more complex when taxation guidelines are to be taken into consideration. In addition to other factors, the recent administrative decree of the German Federal Ministry of Finance (BMF) concerning the differentiation between mere amendments of incorrect tax returns and a voluntary self-disclosure to the tax authorities of false or incomplete tax declarations in case of tax fraud, has seen tax compliance once again become the focus of all participants. Tax practice has shown that pitfalls are to be found in several places, and that the best tax-structure memo cannot provide any guarantee for a life without tax worries if circumstances change later or new circumstances arise, or the original legal or tax guidelines are not carried out properly. 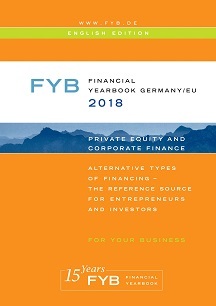 The following report in the Financial Year Book 2018 aims to highlight key focal points from tax audits with which we have been entrusted, and therefore offer proposals for possible solutions at the same time; in this respect, we assume an inbound scenario in which real estate located in Germany is held by domestic or foreign property companies.